Life makes them feel, and they love our customer service! 5 Stars. That’s what customers on Amazon give the entire line of 2018 Life Ionizers MXL-Series water ionizers. Life Ionizers offers machines starting with the 5 plate Life MXL-5, all the way up to the 15 plate Life MXL-15. Whichever Life Ionizer you choose, you’re sure to love it, and according to our customers, you’ll love our customer service! 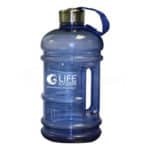 Owners rave about how great alkaline water by Life tastes, and even more importantly, they love how it makes them feel! If you really want to see what a Life Ionizer could do for your health, just browse on over to Amazon, and read about some of the life-changing improvements that satisfied Life customers have shared. Life’s flagship MXL-15 has 15 plates and can run up to 800 Watts of power. It has a pH range of 1.7 to 12.2 – the widest pH range of any home water ionizer. and it can reach up to -900 ORP antioxidant potential. The MXL-15 is the most powerful home water ionizer on the market today. Never buy bottled water again! Fantastic option. You will save money and improve your health. My fiancé looks years younger, her skin glows drinking the water and washing her face with it. People are asking how she looks so young. so far,the water tastes great.very quiet machine-im looking to feel the benefits and write a followup on this as i just got this.One note the customer service gentlemen Will was very helpful and answered all my questions. Me and my father have been using this model for about a year. We enjoy the appearance of the machine and the health benefits we get from it. We wish that some studies would appear from Western MDs would come to the forefront and start a western-world discussion about the product. The appearance is great. Most people that see it ask immediately about it, inquiring as to what it is. My father suffers from Gout. This is a medical condition that results from having too much Uric acid in one’s body. He and others like him get this from eating too many red meats and other sorts of foods. He and some of his attorney friends say that it helps prevent and cure Gout attacks. I have noticed that it seems to help cure hangovers, soreness from working out, food cravings, and thirst, and stress from work. All my guests and our family indicate that the water tastes very good, has a great texture and alleviates thirst better than any other water. I notice I do not have to drink as much water as I have used to feel good. It needs to improve though. I noticed that if it is turned on and it is in purified or acidic mode, the machine will not indicate that it is going through its wash cycle. 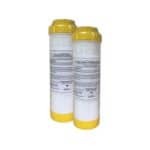 We are still very satisfied and it does cost less than other types of water filters. I would definitely recommend buying this. After I got the machine I have been enjoying fresh ionized water every day and I feel great. I got my Life Ionize M11 in December as an early Christmas present to myself. I had been drinking ionized water from a friend’s machine for a few weeks and knew it was something I needed in my life. After I got the machine I have been enjoying fresh ionized water every day and I feel great. I have all sorts of energy and I feel like my mood is always in that happy place. To top it off, whenever I had questions regarding my machine, I could call into their support center and I was always given the answers I was looking for. I did a lot of research before I bought my machine and Life Ionizer seemed like the best and most reputable company out there. Plus, you can’t beat 11 plates at 800 watts with triple filtration and lifetime warranty, at the price I paid. I truly believe you get the best bang for your buck at Life Ionizer. Great system!!! Plus 100% satisfaction w this companies customer support!!! I ♥ my Life Ionizer drinking water system. I have noticed such a difference in how I feel since switching to small cluster alkaline water over 7 years ago. I purchased my original system back in 2006 and this company stood 100% behind its 5 year warranty. I am thrilled with this companies customer care in honoring me as an existing customer with the ability to trade in my old unit. We have this water dispenser at our church and it is great! It has different settings for different pH levels and is easy to decipher on the interface. When you select the setting the interface lights up blue making it easy to know what setting you are on. The water tastes very pure and is clear. It is very easy to use when filling up coolers for events or any other container. With a faucet, you can’t fit big containers in the sink to fill it out, but this has a hose to dispense. At the end of the day, this machine is just practical and gives us a high quality of water, so we can spend our time focusing on other things. Best investment I ever made! I researched for a while to determine the best options when I became interested in purchasing an alkaline water machine. I had seen an alkaline water presentation for a $4000 machine by another company that does network marketing. The information was good to inspire me to want the machine for better health. But I knew that there must be a more reasonably priced option. Once I researched I discovered the Life Ionizer machine and checked several sources to back up the information I learned. 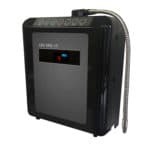 Any way I looked at it I found out on my own that the Life Ionizer was the most technologically advanced machine on the market, and at the best price. I am very happy with my choice as the machine itself lives up to the research, and the company provides very good customer service also. I have my Life Ionizer 7600 for over three years now. 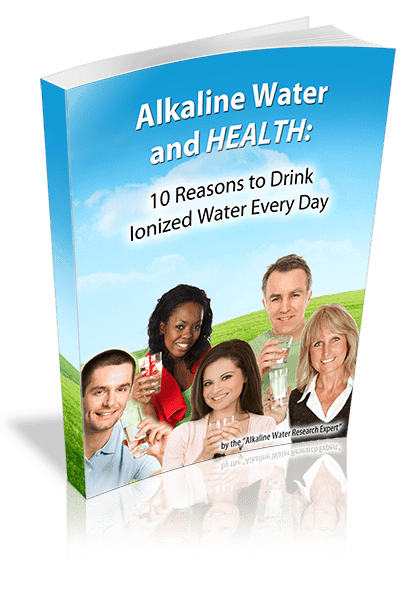 I use it because I believe the ionized Alkaline water generated would have some health benefits. I am generally in good condition but nevertheless wanted to keep my body healthy. However, I did have what is called trigger fingers. My hands would lock up during my sleep. When I wake up I would have to pry my fists open to loosen my fingers. My family doctor said that this is due to chemical changes in my body. I wasn’t thinking of using the ionized water to treat this condition, and I have not come across people saying it would either. However, several months into using ionized water, I realized that my trigger fingers condition was gone. Everyone in the family use ionized alkaline. We use it for cooking as well. When my children goes to school they also bring with them bottled ionized water. The machine has served us well all this time. I believe it still has a very long life ahead, before I began thinking of upgrading to a newer system. Wish I had found this years ago! While visiting a friend in Houston we were introduced to the Life Ionizer. I had been drinking alkaline water for some time (not from a Life Ionizer machine) and had already determined that it was better for you than tap or bottled water. This was my wife’s first experience with alkaline water. She had been suffering with Angioedema and heartburn for some time and felt almost immediate improvement. By the time we left she was nearly symptom free. When we returned home I bought an M7 unit and we have been using ever since. It is extremely easy to install, use and maintain. The whole family loves it. Some of the other things we have noticed is that the Alkaline water tastes better and food cooked in alkaline water also seems to taste better as well. Drinking alkaline water has also enabled me to quit taking Prilosec for heartburn. I have had a Life Ionizer since 2007. What a difference it has made in my life. I always know that my water is clean and free of contaminants. The taste is also magnificent!!! Life is the only water company I have seen that not only uses pre filters but customizes them according to the chemicals your water company adds to your water in your home town. At one point I lost so much weight from the Ionized water I had to stop drinking it. I gave my older Life Ionizer to one of my clients, now the women who works for him is already losing weight just from drinking the water in the first week. For great health and energy I would recommend any of the Life Ionizers. They are all top quality, just like the company that produces them. I am grateful Thank you Life Ionizers. Also the customer service is awesome, so there is never a headache or hassle about anything. Great product with real health benefits. I researched these systems for a few weeks (on Amazon and talking to my plumber and associates at Lowes/H.D) and finally decided on this system. For starters, this system is packed very well and arrived to my home completely intact. I was impressed upon opening it as the main filter housing unit seemed very high quality and heavy. Whether this system is easy to install or not is obviously subjective depending on factors such as the your previous experience with basic plumbing and/or your particular location for install. I decided to install mine under the kitchen sink and also ran a separate line for the refrigerator’s ice/water line. There are old water pipes in my house and the water tasted terrible. I purchased my M5 Life Ionizer 1 year ago.What a difference it has made in my life. There are old water pipes in my house and the water tasted terrible. In the past I used different kind of filters and they did not make much improvement. Now my water comes out clean, taste fresh and I can adjust water PH level. I am a coffee drinker and what a difference the ionizer water makes to my coffee taste. Now I really enjoy the 8 glasses of water that I need to drink every day. Now about the actual meat and potatoes of the product. Right after installing it and let the system flush ~2 gallons I immediately poured a glass of new water into my glass to taste it. I must say even before going into any scientific data. That just purely relying on taste I felt the difference right away. Prior to that we had a RO system and I must say it didn’t taste as good as this. Over the course of 6 months I was using this water for cooking and drinking. Not sure whether it’s psychological or not but I do feel great not tired, no joint paint and I notice my hair no longer brittle as it was before. I am happy with the system and hope it would continue to work. Oh and the price. Don’t let it scare you as the way I approach life is your health is most important and everything else comes later. If you aren’t going to spend [your money] on this you would spend [it] on something else that would collect dust in your garage w/ no health benefits to you. Which Life Ionizer is right for you? Make sure you check back often to see more Life ionizer Reviews : 5 Star on Amazon. Find the perfect Life Ionizer. Call us at 877-959-7977 for a free, no obligation consultation. Call today about special pricing and other incentives.